September 8, 2016 marks another exciting chapter of Central, with the opening of Central Neo Soho, West Jakarta. Central Neo Soho brings new retail concept with modern, vibrant and sophisticated vibes. Always brings finest quality of merchandise and services, the store will be the home for Indonesian and international designers along with curated Thailand designers collections that is available exclusively only@Central. 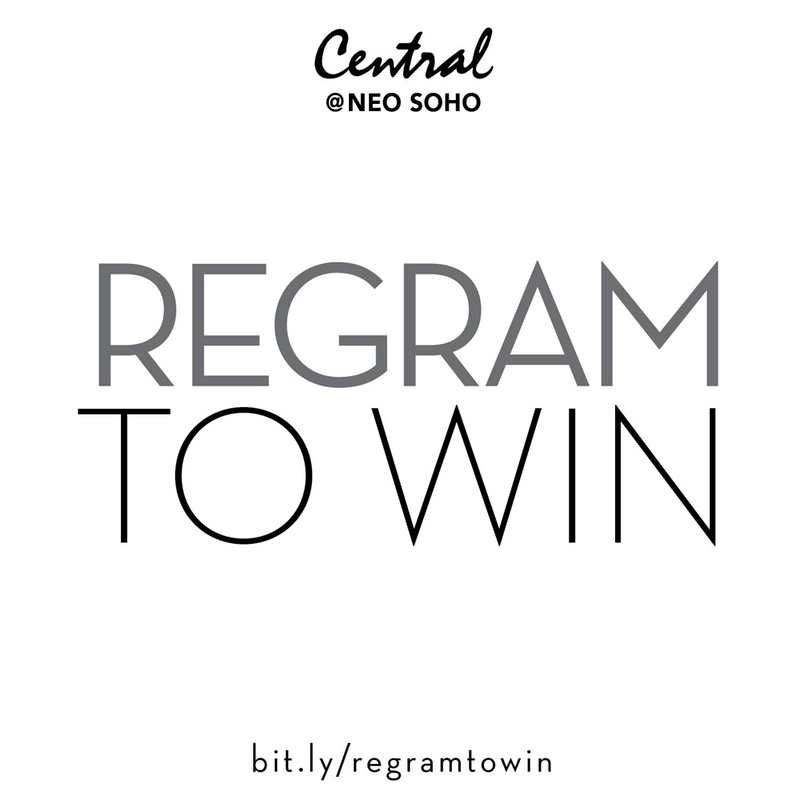 Join the Instagram activity to win these brands that’s available at Central Neo Soho!. Follow @CentralStoreID on Instagram, then spot the brands: Alumnus Men, Alumnus Women, WRKROOM:, THREE Cosmetics, and BG Lab. Choose your prize and regram the picture. Be sure to use #CentralNeoSoho hashtag. Weekly winners will be announced every Monday of the week at @CentralStoreID Instagram. This Terms and Conditions applied to #CentralNeoSoho Regram To Win online activity, in which will be named as “Giveaway”. Online giveaway will be started on Tuesday, September 2106 and will be ended on Monday 10 October 2016. Central Dept. Store Indonesia deserves the right to change or cancel the competition rules, prizes, definition, or any other information during the period of giveaway without further notification. This giveaway is opened for public with at least 13 years of age. Participation is free, without any obligation to purchase any particular product. Participant should have access to internet, valid email address, and Instagram account to follow this contest. By participating, participants accept and agree to be bound by this terms & conditions, and internet etiquette. Disobedience to the conditions stated in this terms & conditions will resulting to participation dismission. This giveaway will be announced in Central Department Store Indonesia’s digital assets, consisting of Facebook, Instagram, Twitter, and Website. Participant can access the giveaway by: Follow @CentralStoreID on Instagram, regram the desired prize using #CentraNeoSoho hashtag. Participants allowed to regram more than 1 (one) photo. Giveaways will be rewarded to users who are qualified to participate in this giveaway and chosen by Central Department Store Indonesia’s internal committee. Qualification stated in point number 4 (four). Prizes of this giveaways are: Alumnus Men Shirt (size M), Alumnus Women Shirt (size M), WRKROOM: Hat, BG Lab Shirt (size M), THREE Shimmering Lip Jam. There is no cash value and this prize can not be refunded, transferred, or exchanged. Central Department Store Indonesia internal committee decisions are final and inviolable. Central Department Store Indonesia have all rights to publish participant's name, surname, given name, address, images, or testimonial for marketing communication and advertising purpose without having to give additional compensation to the participants. In force majeure condition, Central Department Store Indonesia deserves the rights to cancel, cut short, elongate, postpone, or change the giveaway period. Participants are to grant access for Central Department Store Indonesia to check validity of their identity. Central Department Store Indonesia welcome all question in regards of the giveaway rules. Decision made by Central Department Store Indonesia absolute and inviolable. Central Department Store Indonesia will keep the privacy of participant’s submitted data.